An article from The Connexion has become a part of history for students sitting the Bac Technologique this year – as it was used as a text the Langue Vivante exam. The article, on a memorial ride by a descendant of Somme dispatch rider Oswald Davis, was paired with another one on the poppy from the Imperial War Museum as part of the Baccalauréat Sciences et Technologies du Management et de la Gestion. 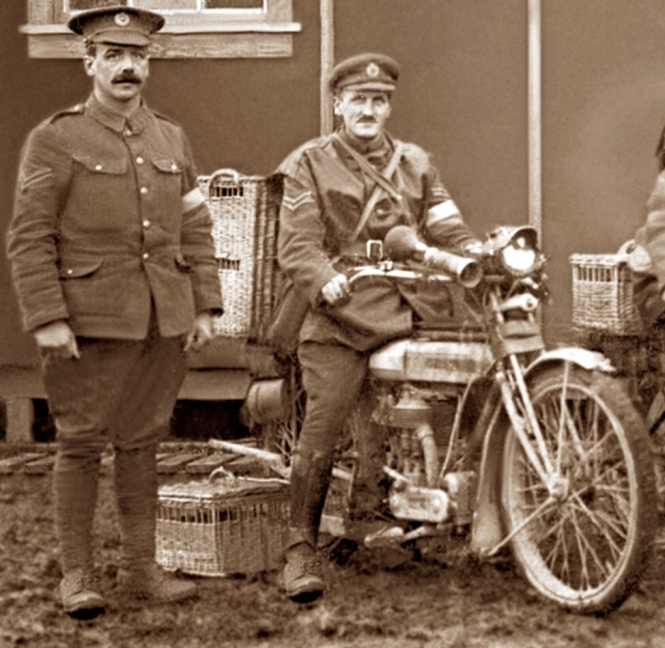 It told how 20-year-old Australian building apprentice David Holdway-Davis led a motorbike tribute to First World War dispatch riders in July 2016 as a tribute to his great great-uncle and others who took vital information to and from the front line. Mr Holdway-Davis spoke of retracing the route Oswald took 100 years ago for the Battle of the Somme, a battle which left 1.3million casualties, with around a third dying. The article (I felt humbled by their sacrifice) was a follow-up to a two-page feature (Dodging enemy fire - the life of a dispatch rider) by Connexion writer Sally Ann Voak on Oswald’s dangerous life. Riding his trusty Triumph motorbike, he dodged enemy fire, shells, shrapnel and potholes to take homing pigeons to the front line. He carried the pigeons in a unwieldy 28in hamper strapped to his back. The pigeons were a lifeline for the front-line troops. The original article (The life of a biker picked to carry pigeons to front) gave some of Oswald’s war diary and revealed that he survived the war to return to Birmingham, where he died in 1962. Above are links to the two articles and on this website you can see the questions that students had to answer about them… how would you fare?